An oasis of Tanglefoot withing the City. Populated by legal types, it is somewhat unexicting buy day, but a bit edgier, given the proximity of Bloomsbury, in the evenings. 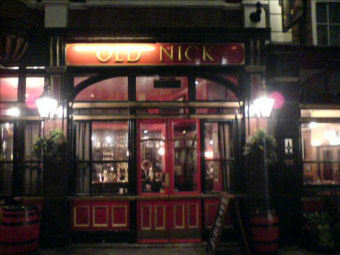 Good beer ("Firkin Fox" excellent), friendly staff, really nice pub. Good renge of Badger beers, including a fine pint of Tanglefoot.